U.S. legislators are in the midst of approving landmark driverless car legislation that would make putting semi-autonomous and autonomous test cars on public roads a whole lot easier. But from an ethics perspective, these rules may be too lax—leading to lawsuits, injury and potentially scaling back innovation. Instead, the U.S. Department of Transportation should model its self-driving car regulations to an unlikely agency: the Food and Drug Administration. At least that’s what philosophy professors at Carnegie Mellon University David Danks and Alex John London wrote in an oped earlier this year. Self-driving cars are like drugs in that, in their trial stages, no one knows exactly how they will respond in different environments and circumstances. Driverless cars will have to figure out what “good driving” looks like, which may differ from situation to situation. Similarly, drugs may react differently to given the person or environment, Danks explained in an interview with Jalopnik. 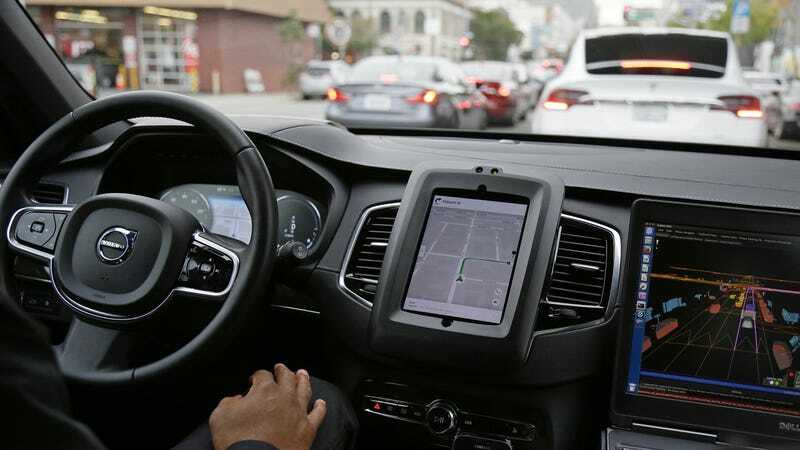 Therefore, the process of regulating self driving cars should look similar to approving drugs: a trial-and-error stage, testing in controlled circumstances, deployment under careful supervision and gradually working toward full autonomy. Currently, the U.S. has a patchwork of different self-driving car regulations depending on the state you’re in. Some states, like Michigan, have little regulation, going so far as to eliminate the need for a driver to be behind the wheel of a test car on public roads. Others, like California, have a ton of requirements for when cars are being tested. The proposed legislation working its way through Congress eliminates all state regulations, puts the federal government in charge, and allows for 100,000 test cars on the road (currently there’s just 2,500). But lawmakers haven’t been super clear on what the process of getting approved to get your driverless car on public roads would look like. Representatives have said they favor more lax regulations to incentivize carmakers to innovate in the U.S. rather than in other countries, though critics say Congress is pandering to car companies. Dank, however, believes the FDA-modeled regulation would still allow the U.S. be a leader in this tech. A trial-based approach spurs innovation by giving more flexibility to automakers to try out-of-the-box ideas as long as it drives safely. Though Dank recognized a “more dynamic but more intrusive” regulation process isn’t what lawmakers or companies prefer, too little testing before deployment onto public roads is dangerous and a huge liability. What Should Robot Cars&apos; Ethical Rules Be?